The culture of non-payments in the country will affect service delivery, a Treasury official warned. Treasury on Friday responded to public comments made to the standing committees on finance and appropriations. Earlier in the week unions and civil organisations had called for clearer plans to turnaround state owned enterprises (SOEs) which were weighing down the fiscus. Acting Director General Ismail Momoniat commented on financial management of SOEs and pointed out that there is a pervading culture of overspending, with no consequences. "Every time you bail out an SOE, every other municipality and provincial government wants to be bailed out," he told members of the committees. "We need to create a culture of compliance with the PFMA (Public Financial Management Act) and the MFMA (Municipal Financial Management Act) … There's a lot of entities today where people think they can overspend and there are no consequences for that," he explained. Momoniat recalled that some people got away without complying with the legislation and that there were no consequences. "Even when they were referred to prosecuting authorities, nothing happened," he said. Secondly Momoniat highlighted that SA needs to get the "culture of payment" right. This not just relates to individuals paying their water and electricity bills, but municipalities paying service providers like Eskom and water boards. "If we have a situation where payments are not made, we are entering into dangerous territory. 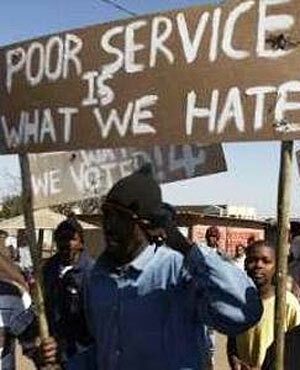 Where people who should be paying don't pay, it will impact service delivery," he said. Momoniat said the Organisation Undoing Tax Abuse is impacting tax morality through its campaign against the payment of e-tolls to the South African National Roads Agency (Sanral) to fund the Gauteng Freeway Improvement Project. "The fact that advocacy for non-payment is there, has consequences for other services, both in terms of the future of roads and other services where payment is required," he said. In order to build a strong state, we must be careful not to undermine the culture of payments, he added. Treasury allocated R5.8bn to Sanral this year, as there is a risk of the entity calling on its R38.9bn guarantee due to the under-collection of e-toll fees. 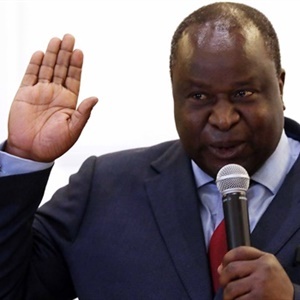 At a briefing on the mini budget Finance Minister Tito Mboweni told journalists that government wants the entity to be able to access funding from markets as opposed to relying on allocations from Treasury. This means it is important for road users to pay their e-tolls. *Correction: A previous version of this story incorrectly stated that Ismail Momoniat strongly advised against the non-payment of e-tolls. It has been updated to reflect that Momoniat said the non-payment of e-tolls has consequences for other services.